Experienced Coroner. Compassionate Mother. Trusted Nurse. Conservative Manager. Rae Wooten has served the residents of Charleston County for over 17 years in the Coroner’s Office, including the last 6 years as Coroner and the 10 years prior as Chief Deputy Coroner. A registered nurse for over 30 years, Rae also serves Charleston County as the Coordinator of the Mass Fatality Plan and serves all of South Carolina as a member of the State Fatality Advisory Committee. One of the most nationally recognized coroners in the country, Rae has been a featured speaker at several national and international conferences, including one in Montreal last year, and is scheduled as a featured speaker at a conference in Puerto Rico this fall. Her work has been featured in national publications, and her experience highlighted in a recent video by the International Association of Forensic Nurses. She is one of only 5 Board Certified Fellows of the American Board of Medicolegal Death Investigators in South Carolina and only one of 169 in the entire United States. 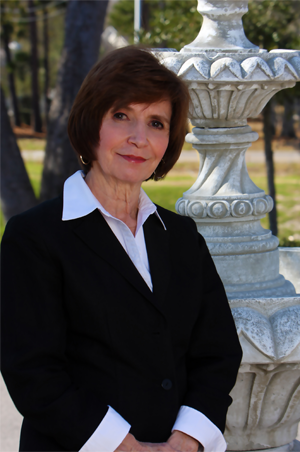 An applicant to the American Academy of Forensic Sciences, Rae is an active member of the International Association of Forensic Nurses, The International Association of Coroners and Medical Examiners, and the South Carolina Coroners Association. Rae’s fiscally conservative beliefs lead her to responsibly managing an over $1 million budget and 12-person staff, making sure your-hard earned dollars are spent most efficiently and effectively. She professionally manages the administration and staff of the Coroner’s office, responses to mass fatality incidents, and education and prevention programs. A mother of three and grandmother of two, Rae shares the compassion, trust and guidance so desperately needed by families who have suffered tragic loss. Rae, a Johns Island resident, attends Rockville Presbyterian Church on Wadmalaw Island with her entire family. Thank you for your interest and support in my campaign. With your help, we will be victorious in November and continue to serve the great people of Charleston County with the experienced leadership they need in the Coroner's Office.